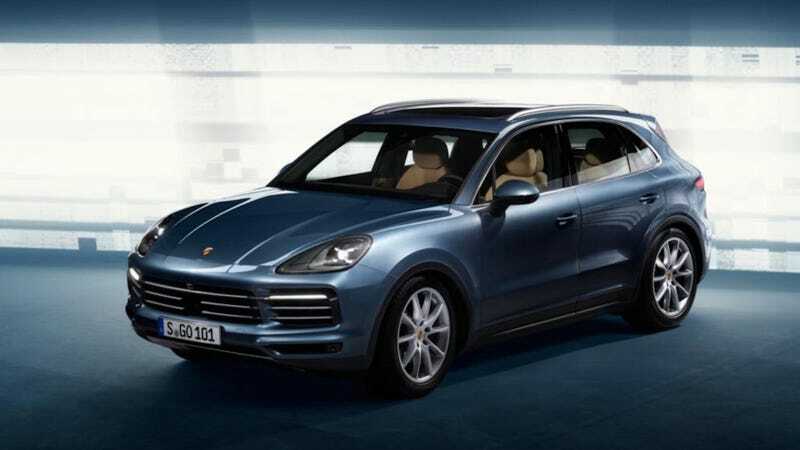 The slightly redesigned 2019 Porsche Cayenne isn’t supposed to make its way before our eyes until Tuesday, but Fridays are more fun anyway. Here, have a look at some recently leaked photos that appear to be it. Stay awhile, if you’d like. CarScoops reports that you can expect a 3.0-liter turbo V6 with 330 horsepower and a twin-turbo 2.9-liter V6 with 440 HP when this thing launches, and that a plug-in hybrid will eventually be on its way. These photos leaked on AutoExpress four days ahead of the car’s debut, and, like all leaks, view them with a bit of doubt and the realization that the actual reveal is only a few days away.